Please note that allthough Windows 2008 is RTM, Hyper-V is still beta. I think it will be released RTM shortly too. 1) Open “Regional and Language Options” from the controll panel. 7) Press “Ok”, followed by “Close” and reboot the box. 8) The Hyper-V service will start automaticly. This entry was published on Thursday, February 28th, 2008 at 11:47	and is categorized under server 2008, Windows. You can follow any responses to this entry through the magic of RSS 2.0. You can also leave a response, or trackback from your own site. Thanks This was very accurate & helpful advice. 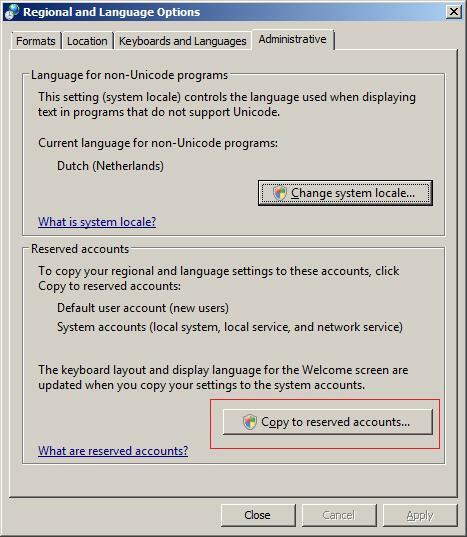 I also needed to remove the original ‘regional’ information to ensure that the system was using the US Local settings. I can’t believe this, but this procedure worked when I had a problem with services not starting (in particular, Event Viewer) on my Windows 2008 Server. Much thanks for posting this! We have had the same on Windows 2008 Terminal Server. Here you get access denied on users when the administrator wants to look at Eventlog, he can not see the log, he get error message that the service is not started, but it is. We were with the same solution proposed remedying that, so thanks for this great input. You have no idea how long a spent on this problem until i read this article………. fixed the event viewer, DHCP client and im sure it will fix the DNS server service once i promote it to a DC AGAIN! That is what I’m looking for a month. Thanks so much, this helped resolved an issue that paralised some of the services of the network I manage. This service cannot be started, either because it is disabled or because it has no enabled devices associated with it. Thanks for any advice you maybe able to provide. Thank you so much. I was at my wits end when my terminal server would not accept logins and the event viewer service had stopped. This happened all of a sudden. 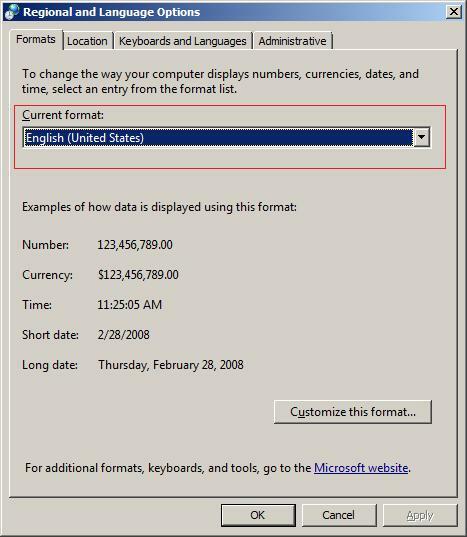 Earlier a couple of weeks ago, we had set a GPO to change the date from Canadian to US format. Thanks, this works! But what could have caused the regional and langguage settings to changed at first place? This happens to many of our VMs and we detect it after the server reboot. This is genius input.. You solved a million and one issues without even knowing. 1) Check the Registry value “HKLM\System\CurrentControlSet\Services\NTDS\Parameters, “DSA Not Writable” (REG_DWORD) and its value is 0x4. Please make sure you backup the registry and Server before any registry tweaks. « Lost you storage card (SD) data after Windows Mobile wipe?